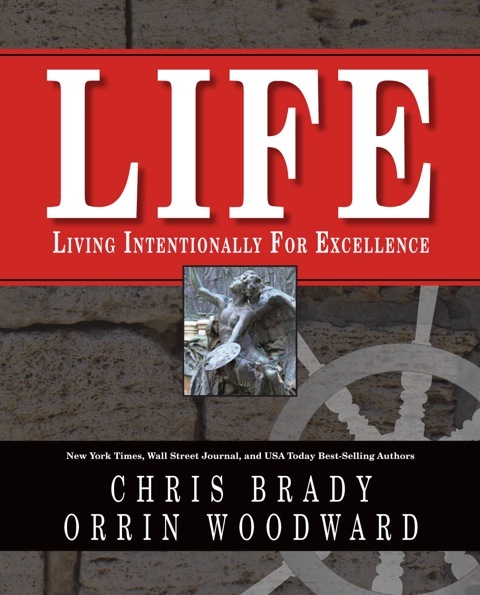 This entry was posted on May 17, 2012 at 8:04 am	and is filed under Faith, Freedom/Liberty, Orrin Woodward. You can follow any responses to this entry through the RSS 2.0 feed. You can skip to the end and leave a response. Pinging is currently not allowed. Great article Orrin! I often rather to the public school system as “public daycare” because it seems as if most parents use it as such. Being time poor is a tragedy. This is an understatement. The victims of this are freedom, liberty and the next generation. Thank goodness for the mental fitness challenge! Saving the culture, our country and the minds of the people! That was a really good article… You’re so right, I can’t even remember a time in my public education where thinking and discovering my own opinion and thoughts on a topic was encouraged. However I do remember a large amount of just have to memorize things. It’s so important for all parents start turning off the “blue light” and start nurturing free thinking and problem solving back into our children! Our Libertys and Freedoms are at stake. Great article Orrin! My youngest son is just finishing high school and regularly comes home wanting to talk about things that his teachers have ‘taught’ during the day. The scary part of this is that what is regularly taught is an air of entitlement, biased political views (versus an over view of our political system), sexual promiscuity, ‘open’ family unit definitions, etc, etc. any ‘discussion’ (challenging) of these ‘pervailing’ views is shut down immediately and met with punishment in the form of reduced grades. The culture war is being fought today in (our) schools, and it’s currently being lost. I’m very grateful that we have access to great information from LIFE – the MFC, and team to help combat this. Thank you for bringing forth material to help people at least to begin to question why they believe what they believe and to equip them (us) to take action on that. Thank you, Orrin. Great thoughts. Thank you Orrin. There is much truth to your insight and the insight of our founding fathers. I love how you offer the power to the individual whereby the individual relying on the state or the institution. The delivery and content is awesome. Thank you.. Kraig Feighery. Liberator Team. Jim & Dolores Martin. Orrin, this information is awesome. I know our founding fathers wanted us to have all the freedoms available. Thank you for reminding us all of the true freedoms still here. You offer to others the freedom for the individuals to live by instead of waiting for the state or institution to free its own people. It is great to now be affiliated with a crusader of freedom and liberty. You are awesome..
It’s amazing what I’ve learned in the past year and a half on what it means to be free. Freedom has always been a core value for me, yet I used to believe in the state taking even more control of our education; thinking that it protects us from being indoctrinated with bad principles. Little did I know, they were in many ways indoctrinating us themselves, not giving us the freedom to learn what is really important. Thank you for providing an education system that really makes a difference, and promotes true freedom! Amazing insight Orrin! I agree that our schooling system, in Canada as well, needs a total revamp. Thanks Orrin for framing a heavily debated subject into a solution oriented discussion. It seems all to simple to allow freedom in education so that our youth can have realize the benefits. We should remain vigilant in all that we do to prevent totalitarianism from getting a foothold. Quality education is the foundation of liberty. Amazing article Orrin! Couldn’t agree more! Being a younger individual myself I can definately see where you are coming from. It seems that not only in America, but all of North America, the educational system is trying to cookie cut all the students to hold certain convoluted views. I love what Scott Staley has said that when students go against the grain, they are simply shot down by receiving a lower grade. What is this teaching the next generation? What will be a result of this? And the worst part is, most parents don’t take interest and just simply go with the current! Thank goodness for the Mental Fitness Challenge, because it’s one of the few things that can actually teach proper principles, which can then be taught to the kids of the next generation. Wow! That is a fantastic commentary of what is going on with the American education system! I am so thankful that we still have the choice to educate our children at home – this will allow us to teach them on the principles of liberty vs the federally mandated socialization agenda! The MFC is a world class platform to systematically start fighting the tide of decline – Thank you Orrin and the PC for such a fantastic tool. Thank you Orrin for constantly encouraging us as Americans to pay attention to our liberties. I cannot thank you enough for the educational material created through LIFE and the MFC. Through these materials and your blog, we can get people to wake up to what is happening in our public schools. From this information, we now have a way to educate our children on critcal life values and get people thinking for themselves. Also, it get us thinking how we can actually do something about it! So true Orrin! I find myself in conversation with Christians that want to use the state power to “fix” education. Using social power, as you put it, never enters the conversation. Right On! Great depth in the article – I will send to many people. Thanks. 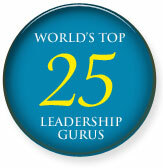 Way to lead the way Elaine by sharing this great article. A work in progress Greg. Thanks for your help. Press on and help us move faster! Got to get the word out man – its important! Hey Orrin- thanks for posting this. I am a parochial grade school teacher and fortunately have the ability to teach my students the ways of Christ without my hands being tied and I thank God for the opportunity to share my faith with these wonderful kids. Unfortunately, we are bound by certain standards and specific curriculum we “have to get in” that echoes what has been stated above. Our school is blessed with many excellent teachers, who are able to stretch the boundaries and incorporate proper core principles into their teaching, but we only have the children before us for a set amount of time. Proper core principles need to be reinforced outside of the classroom. I incorporate the principles I am learning in LIFE and with the MFC into my classroom and looking forward to it being mainstreamed into the educational system and homes across the world! Thanks again Orrin! Orrin thank you for spelling this subject out to everyone. When Paige was in public school we had issue with some of what was coming home with her (teaching the holocaust as it was a rumor) we went to the teacher with some books (Thomas Jefferson education to name just one) we were told by the teacher that he knows what his curriculum insists he teaches was way off the mark, but he would be fired if he varied at all from it or even questioned it. So, again whose in charge? Not the parents unless you take matters in your own hands as we did & made the decision to Home school. As someone who was home-schooled from 6-12th grade, I am grateful for the values my parents instilled in me rather than the indoctrination of the public school system. The tools I was given in those six years have served me well in my adult life and have allowed me to make decisions that will grant my family a life of financial freedom, purpose and peace. A central Government to educate the populace is a dismal failure! All liberty loving citizens must hold the liberty of others in high regard in order to ensure our own liberty! Dr. King said that a threat to freedom anywhere is a threat to freedom everywhere. Even in our public schools. We do not now, nor have we ever needed the Government to define our beliefs… We have a central Government to promote the general welfare, and ensure that every American has the right to pursue and fund their own beliefs. So true Orrin!! It seems that no matter what your world view, you want to use the police power of the State to force other people to pay for it. Any time you suggest that government shouldn’t be given the power to do something, it is assumed that you don’t want it done. If you don’t believe that people should be forced to wear a seatbelt, you must want everyone to go without one. If you don’t think that the FDA and the DEA should be the All Powerful decision makers on what you are allowed to put in your body, you must want everyone to feed their kids whale blubber and smoke crack. Government is just a group of fallen humans just like you and I (that’s if “you and I” are power hungry sociopaths) and any power we attempt to delegate to them, which we don’t have as individuals, will be corrupted and tyranny will rain. “Preach Christ, and if necessary use words” means being an example of a believer in order to influence others, not using the police power of the state. The MFC and LIFE are empowering tens of thousands, and soon millions of people, to be producers instead of just consumers and givers instead of takers! There is so much truth and wisdom in your article, Orrin. This is one of the areas I’m passionate about, as I trained to be a teacher in college, and only spent a few years in the profession (my choice). I see my teacher friends who have been in the system for 30 years, and feel trapped. They can’t discipline, for fear of losing their jobs. Parent support is often poor and misguided. They are called racists by 11 and 12-year-olds who don’t even understand the meaning of the word. They can’t call Christmas what it is. And on and on it goes. Add to this the current political atmosphere here in Wisconsin with the recall of our governor. I pray that I may become part of the solution, through my association with Team and the MFC, and help lead other people to do the same. Thanks for providing us with the tools and guiding us! Your post brought back many thoughts of a child hood that I wouldn’t change a thing if I had it to do over. School was a dead time for me, both public and parochial. Any learning I did was during play time outside of school. I learned about math, chemistry, physics, philosophy, etc. I love learning about what you and Chris call a self directed education.That’s what I had. It is great to learn that I am not alone in this. I agree so much with your view on freedom. I hate helmet laws even though anyone would be nuts to ride without one. And also as much as I hate smoke (as an ex smoker), I would fight for the rights of an owner of a restaurant to allow smokers. I am so grateful to have come across a business that allows me to try and get people thinking. Without it I would be pretty much of a hermit. As I reflect on your post today I can’t help think that we are not only in a culture war but a power struggle. Somewhere along the way we got tired and worn down. The time has come to do are part and I am so glad to be a part of the Team/Life business. It is an honer to be standing with a group of men and women who are willing to be a bunch of Rascals . The belief and practice in a self directed education of a million people will change the world. Thank you Orrin and Laurie for your vision and for all the policy council for leading the way. Our children being educated by the state only supports state values and not parents values. In and of itself a state education is the opposite of an education of liberty.- The State in essence enforces it’s own education doctrine. I couldn’t agree more! As a former teacher myself, I know first-hand well meaning teachers are indoctrinating children instead of inspiring them to love learning. I know this because I was one of them. The problem isn’t the teacher’s love of children, for I know most teachers love the children in the classrooms. The real problem is, and please forgive me for being so bold if a teacher is offended by this, that the teachers don’t know the origin of the presuppositions from which the modern educational system is formed! Most teachers haven’t a clue that what they Are teaching and HOW they are teaching is in direct conflict to the result they want!! All good teachers want the very best for their students. However, with a little study, these well-meaning teachers will learn that many of the principles by which they stand are the most detrimental to our kids and ultimately our precious freedom. 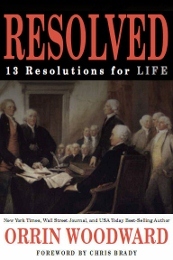 I can’t think of a better place to start than with your book Resolved! All parents and all teachers need to start educating themselves, for it is only with educating ourselves that we can turn back this harmful, ineffective educational system and begin thriving again!! Thank you. We are grateful for joining TEAM and LIFE. It has shown Rhys and I that there are other people out there that want to be intentional about educating our children. I so appreciate going to Orrin and Laurie’s home and asking them how they home-schooled their children. I am so grateful to have business where I can spend LIFE with my kids and we can learn and improve as a family. The Woodward’s are a family that pursue their God given purpose and try to live it out intentionally. They have a great balance of their priorities! LIFE/TEAM does and will change lives. Having spent a little time behind the scenes and in the scenes in public education I can wholeheartedly agree with you. It didn’t take long for me to realize that the system is massively flawed. It used to be that students were held accountable for their grades, their homework and even their ability to think critically in discussions. But each and every year students are being held less accountable and less responsible. In fact, one of the districts I taught in had a 90% exam/assessment scale and 10% homework/class discussion/participation/attitude scale. And because exams/assessments were rated so high in their overall grade the teachers would assist the students by providing memorization guides and test answers so the students would know exactly what to expect on the test – so they wouldn’t fail (and end up learning nothing because they didn’t have to study, do homework, participate or think critically). What we do is so important for the future of our education and the future of this country! Thank you so much Orrin for giving us a vehicle to change the current one household at a time! Another spot on/10 point blog post, sir! I thought I knew what freedom & liberty were before I was able to grow and learn using the gold star information available in the LIFE subscriptions, products, and the MFC itself, however, I only ‘knew what I didn’t know’ & by being open to learning and growing, I have been blessed to tap into a gold vein of truth and related principles that have lasted well over two, and going on three, millennia. Thank you for leading from the front, Orrin. Your nearly twenty years of a self-directed/liber/leadership education has, is, and will continue to pay dividends for anyone with the integrity x courage = character enough to positively associate, listen, read, & humble him/her/themselves. I think Canada is also gaining momentum in surrendering our freedom to educate, we not only are surrendering to the state but to the media with eyes and ears wide open to whatever entertains the mind. Thankfully there are a few good men and women willing to take a stand and reclaim ground with proven success principles. 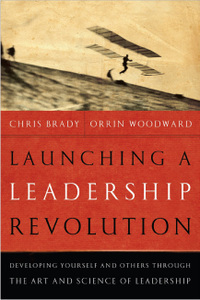 Lead on Orrin Woodward. Orrin, I am a public school 3rd grade teacher. I cannot argue that there are massive problems in our education system, however I do think its important to realize that you are comparing apples to oranges when you compare the U.S. educational system to that of other countries. We provide free public education to every child. Do other countries do the same? Does every child in China get the same education as his or her peers? Do parents in other countries have to pay for their child’s education, thereby realizing the value of the education? Teachers in the states ARE glorified baby sitters. Our parents use the system as daycare. Our parents and our leaders badmouth us teachers as we handle daily students with multiple issues. Many of us have class sizes that are unrealistic. I once had 29 sixth graders in one class. That class included students with autism, learning disabilites, bullies, the gifted, students who had violent home lives, students who were homeless, students who did want to learn and students who didn’t care. I alone was responsible for the education of every child in my class. I was cursed at almost daily by various students and parents and my administration would not support me. Students involved in fighting and bullying were never suspended. I sent one boy to the office three times for sexual misconduct and nothing was done. Why? Because our school district gets paid $14 per day for every child who comes to school. Our principals are ordered to not suspend children because we can’t afford to lose that money. Meanwhile we lose everything else including our sanity, the education of others, and ultimately our very freedoms. I just have to wonder if the educational systems and teachers in other countries are working under similar conditions. Somehow I don’t think so. If the voucher system would indeed cure the ails of our educational system, then I am all for it. God Bless you for the amazing job that you are doing! I have a third grader in public schools, and I cannot imagine the issues that you deal with daily. As a product of public schools, I thank God for my free education, and I believe that the discussion here is more an indictment on the parents than you the teacher… Your points are the very reason that we should move away from State and Federal Governments directly controlling the education of our children. If the parents were free to choose and fund either home school, public or private, then we could force the system to get better by rewarding the schools that will address the issues that you have identified, and punishing those that do not. Thomas Jefferson Education is a great read in this area. 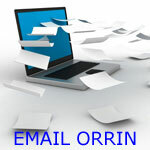 Fantastic Blog Orrin!! Thanks for sharing. As I read this … I think many of us will get a nice “thunk” on the forehead because sometimes the truth hits us and takes a few minutes to recover from the pain. The majority of the country doesnt realize this is going on and/or they dont really seem to care. Our children’s education needs to get back on track … and heard you say it many times “if you want to change a nation … it starts with you” We ourselves must learn the principles and values that make a country great and it starts with the Mental Fitness Challenge! Count me in a one vote for vouchers & MFC. My whole family is taking the challenge including my 12 & 19 year old sons. We are enjoying the experience together. Awesome post Orrin, My wife and I are so thankfull that you had the courage to stay in the battle for us. The MFC is awesome…I can’t wait to complete it and see the results. The MFC is just over the top!!!! Its like syrup and pancakes, PB&J, tweekies and ding dongs, breathing and thinking, and of course the MFC and Leadership development! Thanks OrrinnWoodward for making it easy! Please allow me to share. While waiting outside her room to pick my grand daughter up from a hard day in second grade, a whiting haired man left the room saying “I don’t understand why anyone in their right mind would want to be a second grade teacher” On the journey home, I learned that this man was her substitute teacher for the day!! Steven Covey, Olliver DeMille, have recognized for a very long time that our public education system is failing our youth. As you often point out, so much education and no wisdom. How long has it been that a George Washington, or a Abe Lincoln have stood up to their critiques and shared truth. A Leadership Revolution has been Launched and we will re-educate our youth with truth in Liberty and they will learn that thousands of men and women have given their lives so that we have a privilege of living in a FREE Country. The EDGE Subscription will inspire children to achieve greatness again!!! GOD Bless you Orrin for your unwavering commitment to tell the truth. It is incumbent upon us as parents to take the responsibility of educating our kids. Many times that has been abdicated to the government school system. We have chosen to Homeschool our 3 kids, the youngest is now 17 and finishing her Jr. year., because we had the opportunity to do that plus it fit our schedule well with a couple of other home-based businesses we operate where we can put our kids and some other homeschooled kids in a business environment. Studies have shown that regardless of where the kids are getting educated they are much better off with parental involvement. We need to recapture the minds of this generation because they will be the people who impact the generations to come. When there is information that is disconsonant to our founding principles given in school the parents need to know about it (requires time spent in communication with their kids) discuss it and then do something about it through being involved in the school system. Thank you Orrin for holding the banner of freedom high.